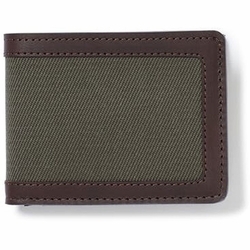 Filson Outfitter Wallet. A new take on an old favorite - the Outfitter Wallet is made of proprietary Weatherproof Leather and Rugged Twill. Heavy-duty nylon thread holds up to years of daily use.